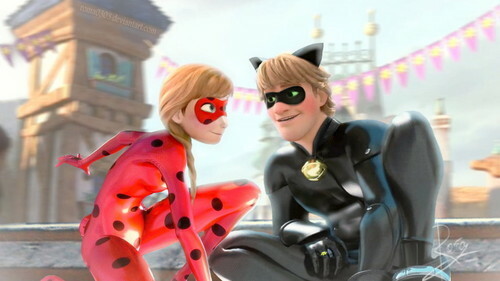 Anna and Kristoff - Miraculous Ladybug. फ्रोज़न (2013). HD Wallpaper and background images in the फ्रोज़न club tagged: photo frozen snow queen elsa anna kristoff olaf sven disney 2013 animated film. This फ्रोज़न photo contains धूप का चश्मा, काला चश्मा, रंगों, काले चश्मा, and रंग. There might also be कपड़ा, बाहरी परिधान, जांघिया, बाहरी वस्त्र, overgarment, बॉक्स कोट, ऊपर का कपड़ा, overclothes, ऊपरी वस्त्र, and ओवरक्लाइट.